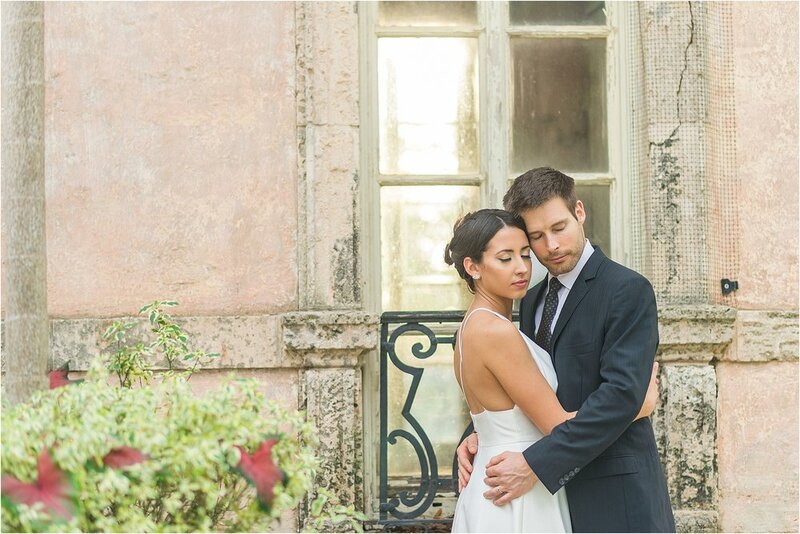 We met up with Brenda and Jared last December for a winter engagement session at the Vizcaya Museum and Gardens. Jared is the founder of Wave to Wave, a magazine that specializes in content for speedboats and lovers of performance boats, and Brenda (“Bre” to her friends) works in New York as an advertiser for a creative shop. They had both enrolled in Miami Ad School looking to push their careers in a new direction—and it ended up pushing their love lives in a new direction as well. While they were at school together, they formed a loving, unconditional bond that turned into the kind of love to last a lifetime. After the two of them graduated, Bre and Jared moved to the hipster capital of the United States: Williamsburg, Brooklyn. There, they were able to jump-start their work and continue to support one another in all of life’s ups and downs. But even all the way up in Brooklyn, both Bre and Jared knew that they wanted to come back to Miami when they got married. After all, that’s the city that brought them both together, so it means a great deal to them. So, when they were looking at places for their engagement photography, what better place could they pick than the Vizcaya Museum and Garden? It’s every Cuban girl’s fantasy palace—and the perfect place to celebrate their love. 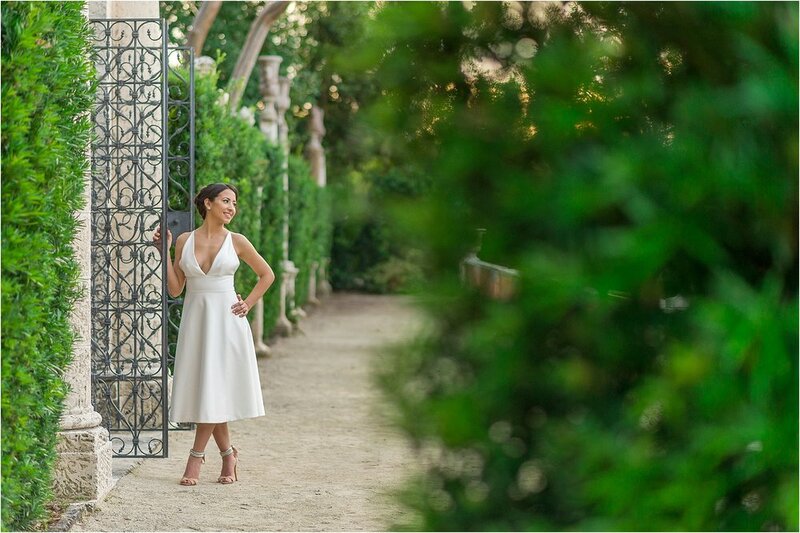 The grounds are absolutely stunning and filled with greenery and fountains; there was no shortage of places for us to find perfect places for romantic pictures. As you can see, the gorgeous outdoor setting made these two look like they had just stepped out of a movie! It was also fun to spend time with the two of them and see how they blend their backgrounds so well. They are a beautiful Cuban-Canadian duo, and we love how they celebrate their differences as well as the things that they have in common. Jared & Brenda, thank you for sharing your love story with us. We loved getting to see your light and your love.